Boutique and innovative designers across the country have come together for an amazing fashion show that highlights creativity, sustainability and philanthropy. 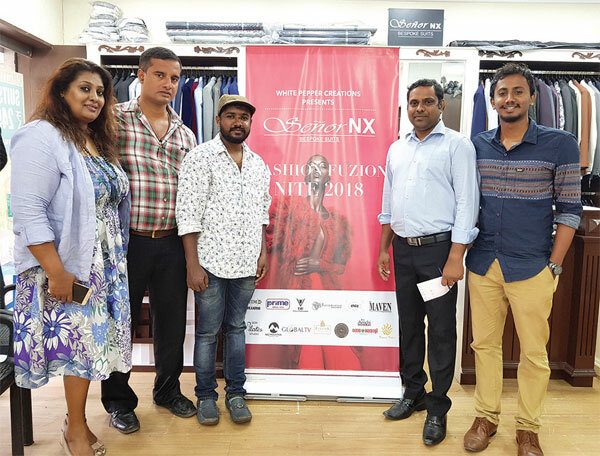 The fashion extravaganza will hold its season 02 show on November 16, 2017 at Reis- Magos Fort, Varem, where, over eight designers will take to the stage for Fashion Fusion Nite 2018 to showcase their designs in an effort to announce the Season for tourism and establish more exposure of the industry to the state. The event will bring together people of all skills, levels and ages who will display their talent in four categories: Youth, Amateur, Professional and Professional Collection. This evening of creativity, ingenuity and self-expression will feature established celebrity show stoppers and models walking the ramp and will be emceed by Merlyn D’Silva. This event is a collective effort of various talents. Photographer Akhil Raju, Founder of White Pepper Creations; Basil Roshan of Senor NX, renowned for their wedding wear; show director Newton Dias; creative director Anna Tharakan; Kiran Chandra, founder of V4U Events and Entertainments, who is handling the stage setup; and Sejal’s International Academy of Hair and Beauty, Pune. Founded in 2015, Fashion Fusion Nite (FFN) showcases sustainability and support in hopes of challenging fashion status quo and show how rewarding and fun it is to be environmentally responsible. FFN believes that giving back opens up the world of possibilities and positive change leading to greater connection, compassion and the fulfilment of personal, local and global potential. The event will take place on November 16, 2018, at 7 pm at Reis Magos Fort, Verem.